Wireless printing technology was has been around for a few years now, but it is often not easily understood in terms of how to set up a wireless printer but also for the benefits of wireless printing. We hope to answer some of your common questions about wireless printing in this post. What is a Wi-Fi Printer? So what is a wireless printer? The simple definition of a wireless printer is a printer that doesn’t require any cables to be connected between the printer and your computer, tablet, mobile or device. Wireless printers in reality are not 100% wireless since they still need to be plugged into a power socket, but other than that there are no wires involved. This makes wireless printers ideal option if you want to place your printer anywhere in your office that is most suitable for everyone to access, instead of being limited by the length of the printer cable (the cable between your printer and your computer or device). There are many benefits to wireless printing which may not always be obvious. Clutter free: Never have to worry about keeping all of those cables tidy again, simply remove the cables from the equation. Extremely simple setup: Often new technology such as Wi-Fi printing can put people off from setting it up. The reality is that setting up a wireless printer is extremely easy and is explained a little later. Share printers and lower printing costs: In office environments where multiple people need to be able to access a printer the old solution is to simply buy each person their own printer which can be quite costly. With a Wi-Fi enabled printer, it is now possible for multiple people to use the same printer with minimal setup required. Print from anywhere: Wireless technology in printers enables you to easily send documents to your printer from anywhere within wireless range. Instead of having to keep bringing your laptop back to your desk and plugging it in to print documents, you can send documents to the printer while you are in a meeting room or while having lunch in the cafeteria, so your printouts will be ready for you to pick up by the time you have walked to the printer. Independent of computers: Wireless printers are totally independent of any computers that are connected to it. What this means is that your computer, or anyone else’s computer doesn’t need to be turned on for someone to send a document or photograph to the printer. This type of setup can be ideal when some people may be taking their laptops out of the office on a regular basis. Save money on cables: While this is admittedly a small benefit, but the cost of installing cables between the printers and peoples computers can be completely removed. This is both a cost saving on the actual cables but also on the staff time that is required to physically plug in the cables. There will also be many other benefits that wireless printing can bring to your business such as reduced overheads on technical IT support (also known as “printer cable plugged into wrong hole”), or even specific ways that you can use wireless printing in an innovative way to either help reduce costs or increase efficiencies. How do Wi-Fi Printers Work? The most important information is about how wireless printers work. Wireless printers work by utilising the wireless router in your office which is normally used to allow your desktop PCs, laptops and mobile devices connect to the internet. Your Wi-Fi printer simply connects to the wireless router in the same way as your computer or mobile device does which then turns your printer into part of your internal network at work. What this means is that anyone on your network at work can access the printer and print directly to it without having to connect any cables. Once set up correctly, as outlined below, you will simply be able to press print on your device as usual and the document will get sent straight to your printer as if it was connected by wires. As part of this process it is important to refer to your individual manufacturer guidelines to ensure all the steps have been completed for the setup to work correctly. The general steps involved are reasonably similar between different manufacturers, although there may be slight differences in naming conventions used in the menus or settings which is where the official guidelines will come in useful. Once your wireless printer is connected to the network in your office, the next step is to install the printer onto all of the computers and laptops that require access to the printer. The usual way of installing the printer is to run the automated setup on the CD that came with your printer. Once your printer is installed it is ready to begin using, it is as simple as that. You may have noticed we haven’t covered mobile devices within this section. Printing from a mobile or tablet to your wireless printer is slightly different so we will cover this shortly. If your wireless router doesn’t have a WPS button then you will need to refer to the manufacturer’s guidelines about how to connect your printer to your wireless network. In addition, if you have a more complex network setup then this is best to discuss with your network administrator so the wireless printer is configured properly. Since wireless printers have been around for a while, there are several manufacturers offering printers with built in wireless technology which allows customers to choose one that is most suitable for them. HP, Canon, Brother and Dell all offer wireless printers which range from £71 to £345 for the more advanced printers. As more printers are released onto the market every year, we will begin to see wireless technology integrated into all devices as a standard. Printing wirelessly from your mobile or tablet device isn’t quite as straight forward as from a desktop PC or laptop. The initial setup to connect the printer to your local wireless network at work is exactly the same, the differences lie when sending documents and pictures from your mobile device to the printer. Printing from a mobile device to your printer wirelessly means that you will need an App to be installed on your mobile device from the specific printer manufacturer. With Apple, this is built into their latest version of their operating system, although for Android and Blackberry users, you will have to download the application. Below outlines a few of the key applications that you can download. Apple AirPrint is now integrated into all Apple devices (iPhone, iPad and iPod touch) which are running version 4.2 or later of the operating system. The benefits of AirPrint is that it allows you to easily send documents and pictures straight to your printer without having to install any printer drivers onto your mobile device. AirPrint is very flexible and allows you to directly print any webpage, document, picture, email and PDF documents you are currently viewing on your device. 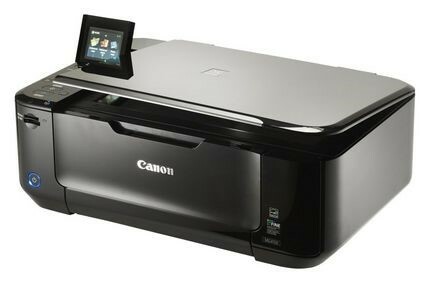 The caveat is that your printer must be an AirPrint compatible printer, although there are several manufacturers who now have this technology built in which include HP’s ePrint range, certain Brother models along with all of Epson’s new Wi-Fi enabled models. AirPrint is extremely easy to use and allows you to print directly to the printer by tapping a few buttons, so as long as your device and your printer are connected to the same wireless network then they will connect and your document will print. Below is a list of the Android and iOS applications that are needed to be downloaded to allow you to easily print to your wireless enabled printer from your mobile device. For your convenience we have listed the Android app and the iOS app for the different printer manufacturers. If your wireless printer model is not listed above then please check your manufacturer’s guidelines about how to print direct to your printer wirelessly from your mobile device. 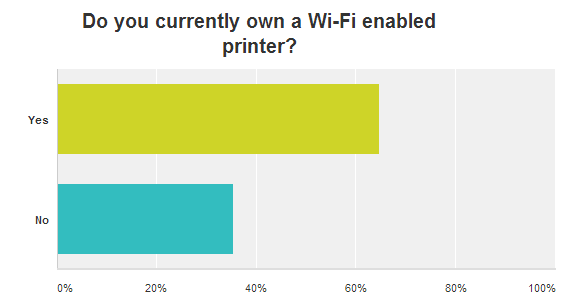 To understand how widely used wireless printers are we ran a survey from our social media followers on Facebook, Twitter and Google+. 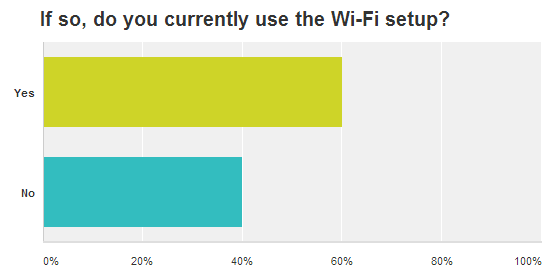 What we found was that out of the people who responded to the survey, 64% of people had a wireless printer already whereas 36% of people were still using cables. That said, having a wireless printer and using the wireless technology are two different things. From the people who have a wireless enabled printer, only 60% of these people are actually using the technology, so 40% of people who have a wireless printer are still using cables. This could be due to the lack of understanding about how to set up and utilise the wireless technology, so we hope this blog posts helps clear some things up for you.